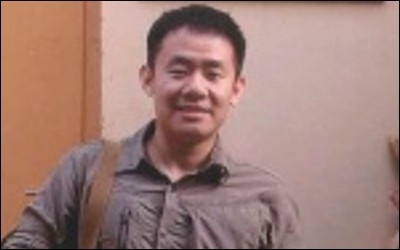 Princeton University graduate student Xiyue Wang, a U.S. citizen, has been sentenced to ten years in prison in Iran on espionage charges. Iran just sentenced Princeton University graduate student and American citizen Xiyue Wang to ten years in prison for espionage. His professor Stephen Kotkin tells The Washington Post that Wang "is innocent of all the charges." Of course he's innocent. Wang is just the latest in a long line of Americans kidnapped by the most promiscuous hostage-taking regime in the world. Never mind, for now, the Iran hostage crisis in 1979, when radical followers of Ayatollah Ruhollah Khomeini stormed the US Embassy in Tehran and held 52 diplomats and other American citizens against their will for 444 days. That was a uniquely despicable event that even the Islamic Republic hasn't repeated. Arresting Wang and convicting him of espionage is part of another pattern that has been ongoing for years. This is the same government that convicted Washington Post Tehran bureau chief Jason Rezaian of espionage before releasing him and three other prisoners last year on the same day the United States government paid Iran 400 million dollars. The State Department said the 400 million wasn't ransom since Washington legitimately owed Tehran that money since before the 1979 revolution, but the Iranian government took it as ransom anyway. "Taking this much money back was in return for the release of the American spies," General Mohammad Reza Naghdi, commander of the Basij militia, said on Iran's state-run television, neverminding the fact that the "spies" he referred to weren't spies. The only thing unique about arresting Wang is that he holds dual Chinese-American citizenship. Iran's government generally captures dual Iranian-American nationals, presumably because it thinks it can get away with it a little more easily. We should always be skeptical when a repressive police state tells us why it puts anybody in prison. Two months ago, American and Iranian diplomats met in Vienna and discussed yet another batch of four dual American-Iranians held in Iran, including art gallery owner Karan Vafadari, his wife Afarin Niasari, businessman Siamak Namazi and his father Baquer Namazi. Foreign Ministry Spokesman Bahram Ghasemi confirmed to the New York Times that representative from the two governments met and discussed the fates of these people and said that similar talks in the past produced "positive results." If earlier prisoners were arrested and sentenced legally and properly, why even discuss it with the United States? What "results" could have been "positive" from the Iranian point of view unless the regime got something in return? Even if arresting and charging Wang weren't part of a well-established pattern already, we should always be skeptical when a repressive police state tells us why it puts anybody in prison. 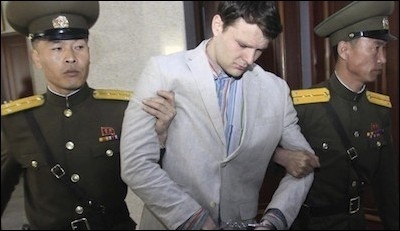 Earlier this month, Lahav Harkov wrote a blistering piece in The New York Post excoriating commenters in the West who took seriously North Korea's claim that it sentenced University of Virginia student Otto Warmbier to 15 years of slave labor for stealing a propaganda poster from his hotel. The regime forced Warmbier to "confess" his crime in front of cameras. He said he was following the orders of his Friendship United Methodist Church in Ohio when he stole the poster. Never mind the ludicrous notion that any church anywhere in the United States would order someone to steal a poster from North Korea. Warmbier didn't even attend Friendship United Methodist Church or any other church in Ohio or anywhere else. Otto Warmbier, accused by North Korea of stealing a propaganda poster for the Friendship United Methodist Church, is Jewish. One of two things happened during Warmbier's forced confession. The regime told him to say he was following orders from "his" church, or Warmbier inserted the easily checkable falsehood himself to telegraph to the rest of us that his confession was bogus. "In North Korea," Harkov writes, "like in the Soviet Union, there's no such thing as a fair trial or justice. It's an evil regime, and buying their side of the story only empowers them." The same goes for the Iranian government, and for the same reasons. Besides, the CIA doesn't send Chinese-American graduate students as spies to Iran. What on earth could a foreign college student possibly learn, in Iran or anywhere else, that governments around the world don't already know? From the very first moment I started working in the Middle East as a journalist, all kinds of people over there have accused me of being a spy. At first I didn't even know what to say. I could hardly convince anyone otherwise. A year or so later, a hotel manager in Beirut all but begged me to give him a job at the CIA. I told him I don't even know anyone at the CIA, but acknowledged that he'd make a better spy than I would. That's when it clicked for me. That's when I knew how to convince Middle Easterners that I wasn't a spy. From that day forward, I've told people this: "I'd be useless as a spy. I'm a white man from the United States. The American spies in your country were born here. They blend in. They speak the language with a local accent. And they work at the highest levels of the government and the military." Works every time. Sometimes the answer actually spooks people. Foreign journalists and college students can't possibly learn anything as 'spies' the CIA doesn't already know. You don't have to be an intelligence expert or even read spy novels to know that that's how espionage works in the real world. Nothing else even makes sense. Foreign journalists and college students can't blend in, can almost never speak the native language with a local accent, can't get within a mile of sensitive information, and can't possibly learn anything the CIA doesn't already know. Someone like me or Xiyue Wang could be an intelligence analyst, sure, but if that were the case, we'd be working in Langley, Virginia, not in Tehran, Beirut or Damascus And yes, someone like me or Xiyue Wang could be a case officer—a recruiter—but if so, we'd be attached to the American Embassy, not a university or a media organization. That's why it's obvious on the face of it that Wang, even more than the dual Iranian-American nationals who are normally kidnapped in Iran, is a hostage instead of a spy.